This course is the first in a 2 part series which builds basic programming skills with Siemens STEP7 software. Using the power of TIA Portal to integrate PLC, HMI and VFD control, students will learn structure programming and implement functions and function blocks. This is a hands on course that will use a model conveyor and VFD and Motor to implement the labs. 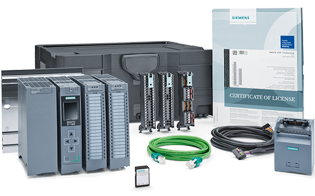 Software diagnostics tools will also be taught that will be used to debug both hardware and PLC programming. Earn 32 CEU credits! EandM is an Approved Continuing Education Provider for the California Department of Public Health and the California Water Environment Association.